The unprecedented tussle between the CBI Director Alok Verma and Special Director Rakesh Asthana the late night move stripping the top officers of their powers, giving interim charge of the agency to IPS officer M Nageshwar Rao have eroded the credibility of the top investigating agency. The infighting in the CBI, however, is yet to come to a conclusion, with the Supreme Court fixing the next date of hearing to November 12. There are allegations and counter-allegations by the Director and Special Director of the CBI and questions have been raised against the government by the CBI director himself. To add to it, the Congress president Rahul Gandhi gave a call for all India protest. Gandhi was detained by Delhi Police while staging a protest in the national capital, demanding the reinstatement of CBI Director Alok Verma, who was divested of his administrative powers and sent on leave earlier this week. Gandhi, who was detained in Lodhi Colony police station, was later released. Rahul Gandhi repeated his allegations “Prime Minister Narendra Modi has destroyed each and every institution in the country. Be it the CBI or the Election Commission, he (the PM) is attacking each and every institution.” The protest march to the CBI headquarters was joined by top Congress leaders who demanded an apology from the PM. The protest by the opposition came even as the Apex Court directed the Central Vigilance Commission to (CVC) to complete its inquiry against Alok Verma and his deputy Rakesh Asthana within two weeks. A three-judge bench, headed by CJI Ranjan Gogoi, heard Verma’s plea challenging the government’s order and appointed former judge Justice AK Patnaik, to supervise the CVC inquiry. Welcoming the Supreme Court decision to give the Central VigilanceCommission (CVC) a two-week deadline to complete its probe against CBIdirector Alok Verma, Union Finance Minister Arun Jaitley observed thatthe government has no interest for or against any individual, and iskeen only on maintaining institutional integrity of the probe agency. What makes the tussle unprecedented is the number of important cases before the CBI at present. From the IRCTC scam to accusations of accepting bribe in Moin Qureshi’s investigations and ignoring intelligence report on coal scam, the allegations levelled by CBI special director Rakesh Asthana, the number 2 in the probe agency, against the number 1, Alok Verma, will now come under probe by the Central Vigilance Commission (CVC) following Supreme Court’s order. The allegation against Verma relates to the IRCTC scam, involving RJD chief Lalu Prasad, his wife and former Bihar CM Rabri Devi, and son Tejashwi Yadav. Asthana has alleged that Verma had asked him to call off raids planned against Lalu in Patna last year at the last moment. 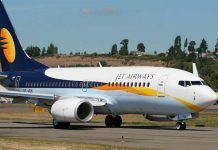 The CBI, however, conducted the raids and filed a chargesheet. Asthana also claimed that the name of a senior Railways official, Rakesh Saksena, was kept off the FIR in the IRCTC case. There are nine allegations of misconduct, interference in investigation, and corruption — the CVC is required to examine them within two weeks. Before he was ousted as CBI director, Verma had booked Asthana for allegedly receiving money to give relief to one Satish Babu Sana, who was being investigated by the CBI in the Moin Qureshi case.Asthana had levelled similar charges against Verma, before the latter booked him, in letters to the Cabinet Secretary on August 24. Asthana’s complaint was referred on August 31 to the CVC, which called Asthana for examination on September 10. Asthana produced documents and files to substantiate his allegations against the CBI director. 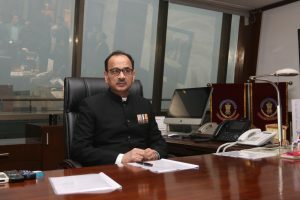 After perusal of documents produced by Asthana, and his deposition, the CVC served a notice on Verma on September 11, demanding files and documents. One of Asthana’s main allegation was that Sathish Babu Sana paid Verma 2 crore to get a clean chit in the Moin Qureshi case. He claimed Verma held the file for nearly four days and marked it to the Director of Prosecution (DoP) on September 24, and the latter demanded all evidence available on record. Asthana also said the team under him had opened a lookout circular against Sana, and preemptive action foiled his attempt to escape abroad. The CBI special director claimed that the file was again placed before Verma on October 3 with answers to queries raised by the DoP, but it has not been returned till date. In his response to the CVC on September 18, Verma instead leveled allegation against Asthana and raised the issue of his integrity. In its communication to CVC, the CBI said it is investigating Asthana’s role in at least half-a-dozen cases. The CVC’s October 23 order stated, “The CBI requested that complaint of Asthana should be viewed as a desperate attempt by a tainted officer to intimidate officers of various ranks in CBI.” On making the documents available, the CBI informed CVC on behalf of its director that “records run into thousands of pages, files scattered at various places like branch, malkhana, courts are being sought and will be produced before the commission in 3 weeks”. Another accusation deals with Verma allegedly not taking action on intelligence inputs. Asthana alleged that despite warning, Sandeep Jajodia and Ashok Chaturvedi, accused in coal scam cases, no lookout notice was served. Yet another charge that will come under probe relates to registration of a preliminary enquiry by CBI in the case of land acquisition in Nangli, Umarpur, Tigra, Ulhawas and other villages of Haryana to build residential sectors in Gurgaon. According to Asthana’s complaint, he received information that about 36 crore had changed hands to ensure that the probe was closed and no criminal investigation launched. “It was found that then-director of town planning and a real estate company owner were liasioning with joint director A K Sharma and Alok Verma,” Asthana stated in his complaint.